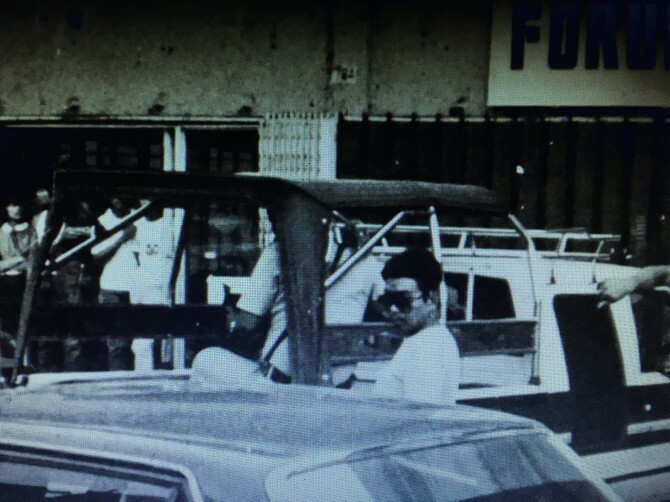 MANILA – On December 7, 1982, the Metropolitan Command Intelligence Service Group (MISG) on orders of President Ferdinand Marcos, raided the offices and printing plant of WE Forum, which had been most critical of the dictatorship. Arrested and jailed were more than a dozen staffers and columnists of the Mosquito Press trailblazer, led by publisher-editor Jose Burgos Jr.
Rushing to help the beleaguered media workers and Burgos’ wife, Edita, were human rights lawyers Joker Arroyo, Rene AV Saguisag and Jojo Binay. They lawyered for Burgos et al in the subversion case filed in court. The trial of the criminal case filed by the Marcos regime against Burgos, for subversion, would take longer, and would only be dismissed right after the dictator had fled to Hawaii, in the 1986 EDSA People Power Revolt. 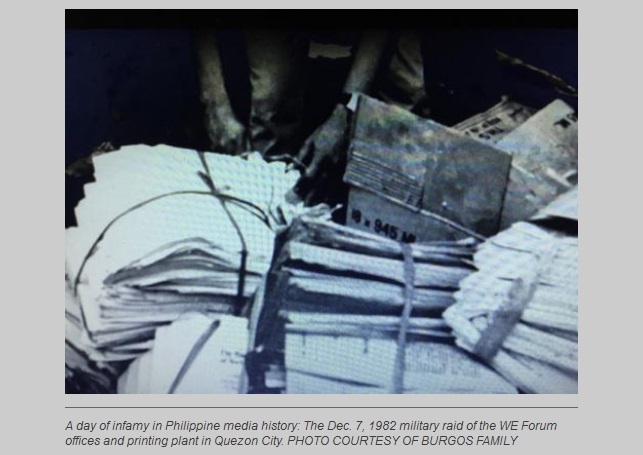 The lessons of the WE Forum raid, coming just three days before the global commemoration of Human Rights Day – resonate today because the dictatorship cracked down on the paper just after it published the well-researched series of ex-Col. Bonifacio Gillego casting doubt on Marcos’ war record. Most of the medals/awards of Marcos were granted decades after the end of World War II, mostly by he Armed Forces of the Philippines, in the 1960s. As a rule, war honors are recommended within two years of an event, when corroboration by witnesses is still possible. * The medal count varied, apparently because, Gillego said, Marcos had used so many propagandists and lobbyists, some of whom made fantastic claims. * Some of Marcos’ incredible claims as war hero included: (a) he was the hero of Bessang Pass; (b) he delayed the fall of Bataan by 3 months; (c) General Yamashita surrendered to him. Today, 34 years after the infamous WE Forum raid that drew global outrage, Joe Burgos and several of his writers who have since died lie in simple private graves. Their names, though, are inscribed at the Bantayog ng mga Bayani, a private-led initiative. But Ferdinand E. Marcos is buried at the Libingan ng mga Bayani, beside the true heroes of the last war. This, over the continuing objections of thousands of Filipinos, not least of them the ones who suffered under martial law with the killings of over 3,000 and the disappearance, arbitrary arrests and torture of over 10,000 others. Also protesting are those who lived through the dark chapter in history; and more recently, no less than the head of the National Historical Commission of the Philippines (NHCP), Maria Serena Diokno, who resigned her post after State forces and the Marcos family carried out President Duterte’s orders allowing the ex-president’s burial at LNMB, despite the NHCP’s submission to him of a detailed study on Marcos’ dubious war record. As chief of the Philippine Constabulary’s (MISG), he believed he was merely his doing job. That, even if the Supreme Court had declared “null and void” the court warrant that the Metrocom used to legitimize the raid. The High Tribunal had assailed as “broad” the statement of Abadilla’s court request. Amending the old anti-subversion law, Mr. Marcos’ PD885 actually penalized political offenses with as high as capital punishment, in a brazen bid to deter dissent and control the mass media during martial law. That article was based on the same report from the US-based Philippine News publication, with the head, “Marcos is a fake hero, says his ex-commander,” and by-lined by Gillego, a former intelligence officer who had joined the anti-dictatorship Movement for a Free Philippines. Every page of Gillego’s report was signed and concurred in by Col. Romulo Manriquez and Captain Vicente Rivera, the commander and adjutant, respectively of the 14th Infantry where Mr. Marcos allegedly earned his war medals during World War II. Despite the censorship in media, the raid was surprisingly widely publicized in all metropolitan dailies, and covered extensively on television. But Abadilla had said that he still believed the government was being undermined by the We Forum, forcing authorities to act against the Burgos Jr and his staff, when they raided the newspaper offices in Quezon City. Among those dragged to detention were the paper’s production manager Eduardo, circulation manager Angel Tronqued, and key writers and columnists led by UP’s iconic martial law dissenter, Dean Armando Malay. Former Sen. Rene Saguisag later recalled that he couldn’t forget the grim-looking Abadilla, whose “passion and anger” forced him to punch the wall at the WE Forum office, causing a gaping hole. The Abadilla gesture, recalled later as well by Joker Arroyo and Edith Burgos, was apparently done if only to control himself from punching lawyers, as Saguisag and Jejomar Binay, as volunteer counsel, were confronting the military officers during the raid. Edith elaborated: Abadilla blew his top when he apparently realized why the soldiers were taking too long in documenting the materials being carted away by raiders. The group of MABINI and FLAG lawyers had demanded that each and every piece of document taken, each and every issue of the newspaper, be noted down on a logbook – a process that caused the raiders to stay in the premises till late afternoon, after Burgos et al. had been taken to jail. It wasn’t surprising that Arroyo, Saguisag and Binay along with the late Sen. Lorenzo Tanada, who “deployed” his son Wigberto and their law partner Martiniano Vivo, passionately defended all the accused, until the criminal charges against them were dismissed. Having defended hundreds of dissenters who had run afoul of the dictator, it was clear to them that the WE Forum raid had struck a blow right in the heart of the democratic movement, because it was the first aboveground opposition paper that had drawn a significant following. Its circulation had grown leaps and bounds, despite starting from the meager resources scraped together by Burgos with help from his father Joe Sr., who had made a modest fortune from community publishing. But as ardent as the Burgos lawyers were in defending them, Marcos’ military officers never gave up in their zeal to prosecute. Abadilla, for one, remained firm in his position, that they had done nothing wrong. In time, Abadilla left active military duty and opted to serve as an elected official in Mr. Marcos’ home province of Ilocos Norte after briefly being detained on alleged possible involvement in the 1987 failed coup plot against the strongman’s successor Corazon Aquino. He was later gunned down by suspected communist hitmen. And while Abadilla’s critics continued to assail him and the MISG for their “notoriety,” he was later surprisingly praised by his subalterns, many of whom would later land top senior positions, not only in the Philippine National Police (PNP) – the successor of the Philippine Constabulary – but as elected officials in government. 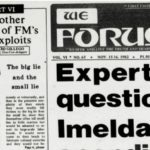 The WE Forum case triggered a resurgence of dissent in media, which had expectedly become tamer after the declaration of martial law, the shutdown of all newspapers and broadcast networks, a massive crackdown on journalists and the self-censorship that characterized the crony publications dominating the industry. 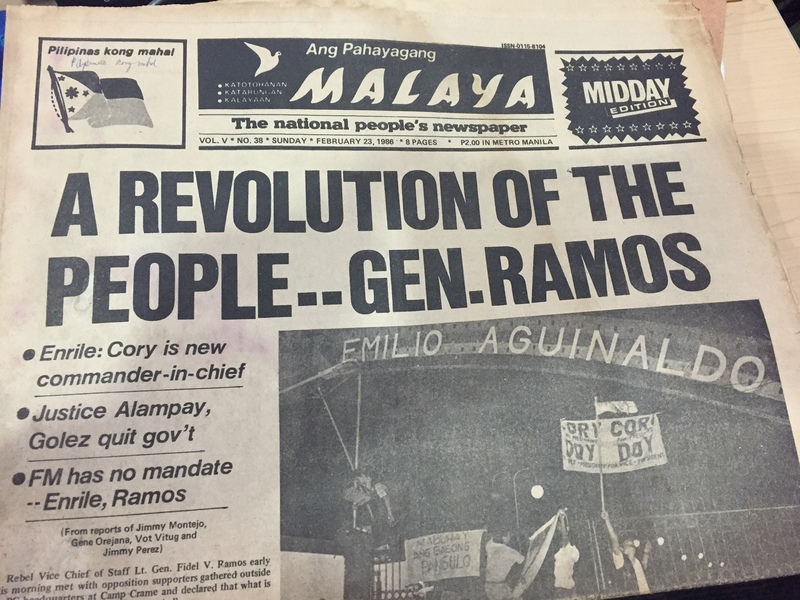 A little more than a month after the WE Forum raid, and over the objections of his lawyer Arroyo, Burgos Jr. would launch another paper to fill in the gap left by his publication: Ang Pahayagang Malaya, the tiny, Filipino-language sister publication of the WE Forum, was re-launched, this time as an English-language fortnightly on Jan. 17, 1983. Like WE Forum, it would soon pick up pace and draw in more readers, multiplying its audience a few months later for its credible, comprehensive coverage of the Ninoy Aquino assassination, and the subsequent protests that marked the twilight years of the Marcos regime until the 1986 EDSA revolt. With that, said Arroyo – who himself shunned honors despite his key role in the dictatorship, and even left prior strict orders he would not have a public wake when he died in October 2015 – he and the other human rights lawyers acceded to Joe’s plan, and continued to defend him and his staffers until the end of the dictatorship.